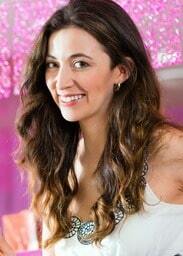 Katy D, aka The Love Queen is a hopeless romantic, a dating coach, love psychic and blogger, based in the US. Katy knows what its like to be in love or have a crush, and to want to know if the two of you have a potential future. She would often find herself looking up her astrological charts, horoscope love compatibility, checking numerology, consulting psychics and anything else she could think of. Katy realised that she could put some of these resources all in one place as well as providing helpful, caring and sensible dating and relationship advice through blogging. The Love Queen aka Katy, realised a few years ago that she also had a talent for psychic readings, particularly relating to love, relationships, dating and break ups, and revealing hidden secrets and crushes using the tarot cards and with communication with her guides. She has now decided to share this psychic gift with the readers of The Love Queen, using the online psychic chat, and make it available for all to try out for free!